Workers at three BMW plants in the UK have voted to reject a deal designed to end a long-running dispute over proposed changes to pensions. Members of the Unite union based at sites in Cowley and Swindon in southern England and Hams Hall in the West Midlands, turned down an offer by 56.6%. BMW described the deal tabled as "fair". But the union, which did not recommend the offer, said it did not go far enough to address employees' concerns. The company plans to link the value of a worker's pension to the pension fund's performance on the stock market, instead of final salary. 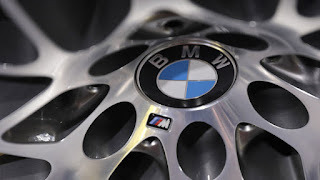 The changes would affect about 5,000 BMW employees in Britain, the union said, adding that some workers stand to lose up to £160,000 of their retirement income. Workers have staged four walkouts so far, hitting engine, Mini and Rolls-Royce car production. Three 24-hour strikes planned in May were suspended while staff considered the offer, which would see the closure of the German carmaker's final salary pension scheme and workers moved into a defined contribution scheme.